For horse owners, there are many different aspects to take into consideration when looking for an equestrian estate, such as the natural setting, the space of the land, the architectural style of the property, and of course the specialized training grounds for the majestic beasts. An equestrian estate has elements that are different from the usual property additions such as pools and garden. You need a wide expansive ground where the horses can roam and equipment for the horses’ development. These elements will affect the design of the entire property. An equestrian home needs a manor house, a horse stable, and facilities that are required when raising horses. These types of properties are really expensive to build and maintain which is one of the reasons why equestrian estates rarely go on sale. They usually remain in a family for many generations since they are treated like a business as well as a passion. There are countless equestrian estates all over the nation but what separates the best from the rest? What’s important is a wide expansive piece of land that is in close proximity to equine trails and state parks where the horses can roam and also an equestrian community that is well equipped in treating horses. Equestrian communities are a great place to also start your own estate since all the services and facilities that you need to raise horses are nearby. If you’re planning to start your own horse property, then it is a good idea to purchase a large piece of land in an already well-established equestrian community where the residents have a shared interest in raising horses. 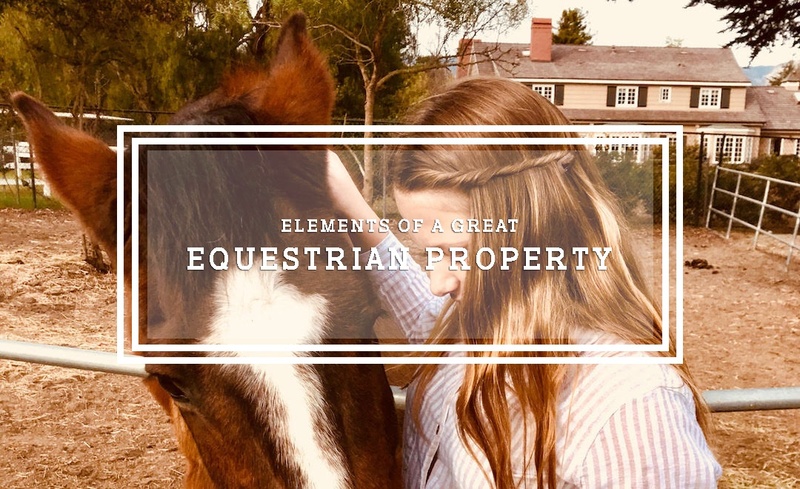 When looking for an equestrian property, there should be nearby equine dentists, veterinarians, tack stores, farriers, hay and feed supply stores, good boarding, training centers, reputable breeders, and even massage therapists for the horses. Equestrian estates aren’t just for people that plan on raising horses but they also hold an architectural beauty that can captivate anyone. According to professionals, the ideal equestrian estate should be able to have at least 10 heated stables with minimum dimensions of 4×4 meters (approx. 170 sqft) where there is enough space for equipment storage, a place to clean and horseshoe the horses, a space for veterinary purposes where they can treat sick horses, and an office for the caretakers. 4. Who are the Buyers? There are two types of buyers of equestrian estates. The first is someone that is looking for a country house with a large piece of land where their horses can roam free as well as stables to house their horses and/or their children’s ponies. The second type of buyer is someone that is looking for an equestrian estate for business purposes, whether for racing or dressage. Some buyers who are looking for equestrian properties are devoted riders and horse lovers that also look for a beautiful place to call home. Some approach it as a business making these types of estates more expensive and harder to find. Regardless of your motivation, Team Scarborough is here to help you find the right horse property for you.